The secret history of the Lobster?Revealed! A Manhattan wrestling match goes terribly wrong when the ref is killed in front of a live audience by two crazed?and seemingly bulletproof?wrestlers. Lobster Johnson?s attempt to subdue the mad duo ends with him becoming public enemy number one! Will the Lobster be able to clear his name with the full power of the city?s cops after him? Collects Lobster Johnson: Get the Lobster #1?#5. 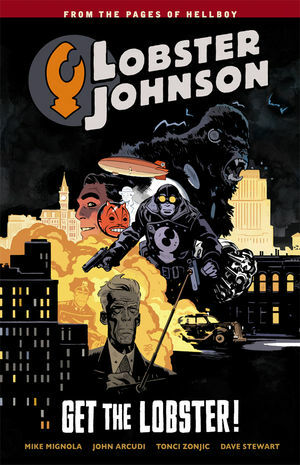 * Tonci Zonjic?s return to Lobster Johnson!